- Draper, V singled to third base (0-1 K). - Yan, Z out at first 1b to 2b, SAC, bunt; Draper, V advanced to second. 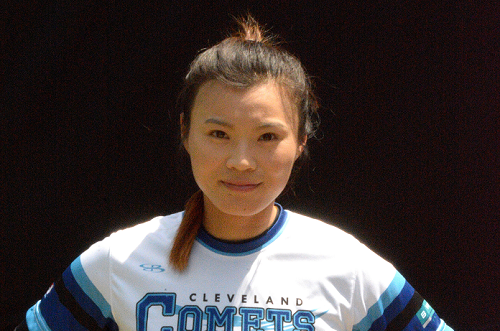 - Xiaoqing, W singled to right field, out at first rf to 1b to ss to 2b to 1b, RBI (1-1 BK); Draper, V scored. - Kailin, X struck out looking (3-2 FBKBFBK). - Miller, C popped up to ss (1-1 KB). - Huaining, Y struck out swinging (2-2 SBBKK). - Robinson, S fouled out to rf (2-2 FBFB). - Mengmeng, L grounded out to 3b (1-2 FBF). - Minghan, Y grounded out to 2b (2-2 KSBB). - Huiqi, Y popped up to 2b (1-2 FKB). - Rhodes, J flied out to lf (1-2 KKB). - Yue, X struck out looking (3-2 BBFBSK). - Jing, Z singled to shortstop (0-0). - Xinyue, J fouled out to rf (2-1 BFB). - Jiaxin, X struck out swinging (2-2 BKKBS). - Bei, W grounded out to 3b (1-2 BFK). - Draper, V singled through the left side. 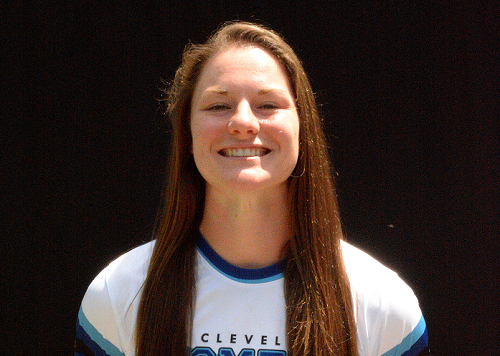 - Draper, V advanced to second on a throwing error by c.
- Yan, Z grounded out to 1b unassisted (2-2 FBBK). - Xun, S grounded out to 3b (1-2 BFSF). - ZiXuan, D struck out swinging (3-2 SBBBSS). - Miller, C walked (3-2 KFBBFBB). - Huaining, Y singled to shortstop (3-1 BBSB); Miller, C advanced to second. - Robinson, S flied out to cf (0-1 F). 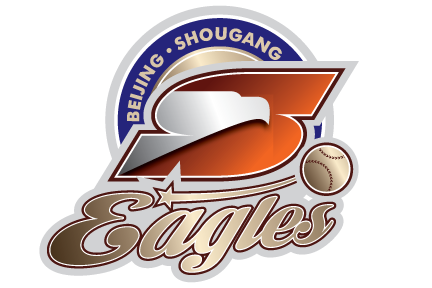 - Xiaoqing, W struck out swinging (2-2 KFBFBS). - Kailin, X reached on a fielding error by ss (2-2 SBBK). - Mengmeng, L grounded out to 2b (2-1 KBB); Kailin, X advanced to second. - Minghan, Y grounded out to 2b (1-0 B). - Rhodes, J singled to left field (2-2 KBFBFFF). - Yue, X out at first c to 2b, SAC, bunt (0-1 F); Rhodes, J advanced to second. - Jing, Z walked (3-2 SBSBBB); Rhodes, J no advance. - Xinyue, J out at first p to 2b, SAC, bunt (0-1 K); Jing, Z advanced to second; Rhodes, J advanced to third. - Xun, S struck out swinging (1-2 KFBFS). - Huiqi, Y popped up to c (1-0 B). - Jiaxin, X flied out to lf (0-0). - Bei, W struck out swinging (3-2 KBFBBFS). - ZiXuan, D struck out swinging (2-2 BSBFS). - Miller, C struck out swinging (1-2 BFFFS). - Huaining, Y singled up the middle (3-2 KBBFFB). - Huaining, Y out at second c to ss, caught stealing. - Draper, V singled to third base, bunt (0-1 F). - Yan, Z out at first 1b to 2b, SAC, bunt (0-0); Draper, V advanced to second. - Xiaoqing, W struck out swinging (1-2 KKBS); Draper, V no advance. - Kailin, X lined out to 3b (1-1 BK). - Robinson, S walked (3-2 BSFBBB). - Rhodes, J reached on a fielder's choice; Robinson, S out at second 3b to 2b. - Yue, X struck out swinging (0-2 FFS); Rhodes, J no advance. - Jing, Z struck out swinging (2-2 FBKBS). - Mengmeng, L reached on a fielding error by 2b (0-2 SF). - Jie, X pinch ran for Mengmeng, L.
- Minghan, Y reached on an error by 1b, SAC, bunt (0-0); Jie, X advanced to second. - Huiqi, Y popped up to c, bunt (0-1 S); Minghan, Y no advance; Jie, X no advance. - Minghan, Y stole second; Jie, X stole third. - Jiaxin, X struck out swinging (3-2 BFBBKFFS); Minghan, Y no advance; Jie, X no advance. - Bei, W grounded out to 2b (1-0 B). - Xinyue, J grounded out to 2b (1-1 KB). - Xun, S grounded out to ss (0-0). - Siyu, Y pinch hit for ZiXuan, D.
- Siyu, Y struck out swinging (3-2 KBKBBS).